‘s, they are the large, nimble and aggressive web companies. Controlling the Subscriber Edge gives the winner a wide array of “smart” / IoT billable services, trusted and preferred brand status and access to a slew of consumer data to monetize. The key to winning this battle is to own and control the IoT Hub . In this market the SP provides, at a minimum, best effort connectivity. The battle revolves around many issues such as what do they offer beyond this, what’s their fair, and just, role in the value ecosystem and what’s their brand status. The stakes are high for both sides. Yet, the stakes for the SP are much higher with a battle loss leading to a commodity connectivity business or the proverbial “dumb pipe”. A loss to the Web Companies means they have business as usual which is actually quite good. This battle revolves around who owns and controls the IoT hub and how. This discussion/presentation addresses emerging business and technical architectures facing service providers today. It will present CPE deployment options and their implication on the ecosystem and will introduce a model that fairly distributes value across the ecosystem. In the model, the SP gets their fair and equitable share of the value chain and get justly compensation for their “heavy lifting” of building and maintaining the access network. 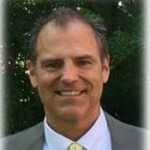 Greg Whelan is a thought leader in the future of the service provider ecosystem. He focuses on broadband access including Virtual Access Networks and the role of the SP in IoT. Mr. Whelan has been a pioneer in broadband for over 20 years and was a primary influencer in early DSL and cable modem standards and he was an original founder and vice president of the Broadband Forum. Currently, he’s an active member in the ONOS Community and the SCTE Energy 2020 Initiative He has worked in technical marketing roles for large technology firms including Cisco Systems (San Jose, CA) where he lead award winning global marketing campaigns in the service provider markets and Analog Devices (Norwood, MA) where he created and lead their entrance into the broadband telecommunication market. He’s also spearheaded marketing for a number of early stage venture-backed start-ups in the Boston area, three of which were acquired by larger tech companies. He has a BS Electrical Engineering from Cornell University and a MBA in Innovation, with honors from Northeastern University. He has also studied Digital Video Networking at the MIT MediaLab.